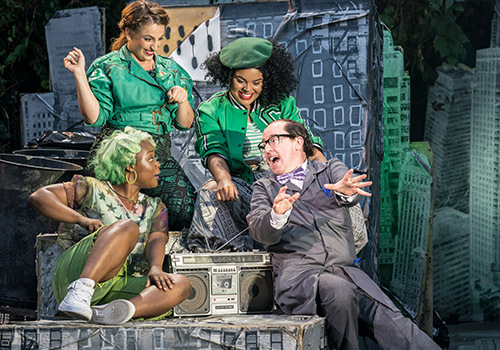 Mean, green monster musical Little Shop of Horrors comes alive at Regent’s Park Open Air Theatre, rounding off a highly anticipated 2018 season. Following the misfit kids of Skid Row, the major musical follows the incredible success of the Olivier Award-winning Jesus Christ Superstar, which ran for separate seasons at the theatre for two consecutive years. 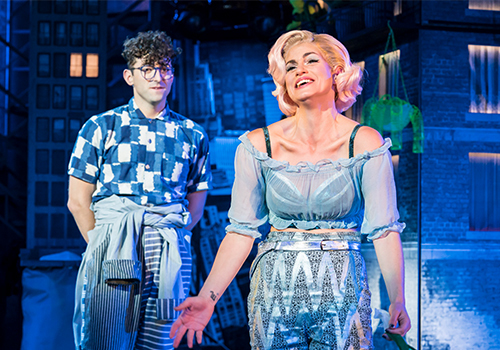 Little Shop of Horrors is the hilarious parody of B-movie horrors, and is perhaps best known as the original 1986 film, starring Rick Moranis and Steve Martin. Last seen in London at the Menier Chocolate Factory in 2006, in an Olivier Award-nominated production starring Sheridan Smith, the musical has enjoyed several tours across the globe. Down in Skid Row, life is full of broken dreams and dead ends. But when shop assistant Seymour spots a mysterious plant, he finds something that could make all of his dreams come true. Armed with a succulent with killer potential, Seymour spots a way to win the attention of the sweet Audrey, ridding her of her evil dentist boyfriend. But can his dreams really all come true? Based on Roger Corman and Charles Griffith’s film, the musical features a book and lyrics by Howard Ashman and music by Alan Menken. The hilarious, thrilling musical features a score including well-known numbers including “Skid Row (Downtown)”, “Somewhere That’s Green”, “Feed Me (Git It)” and “Suddenly Seymour”. 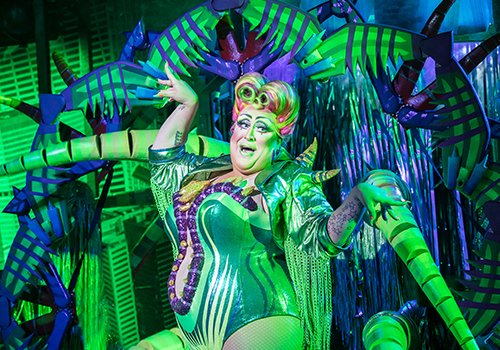 Marc Antolin (Romantics Anonymous) stars as Seymour, alongside Jemima Rooper (Hand to God) as Audrey, Busted's Matt Willis as Orin, Forbes Masson as Mr Mushnik and Vicky Vox as Audrey II, as well as Renée Lamb, Seyi Omooba and Christina Modestou as Chiffon, Crystal and Ronnette. Directed by Maria Aberg, who helmed the successful Fantastic Mr Fox at the Lyric Hammersmith, the production features choreography by Lizzi Gee, design by Tom Scutt, lighting design by Howard Hudson and sound design by Nick Lidster for Autograph, with musical supervision by Tom Deering. 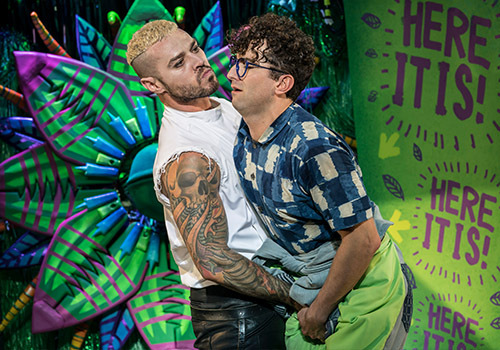 A botanical bloodfest that has enjoyed success around the world, Little Shop of Horrors plays at the Open Air Theatre for a limited season from August 3rd to September 15th 2018, with an official opening on August 10th 2018. 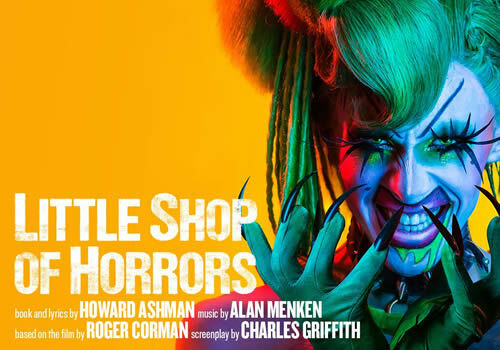 Little Shop of Horrors is suitable for those in secondary school and above, due to themes of violence and tributes to parodies of horror films. Please note that children under the age of 4 will not be admitted into the theatre.